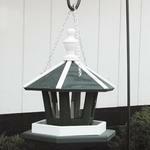 Bring sophistication and classic beauty to your outdoor space with this handcrafted solid wood bird feeder. 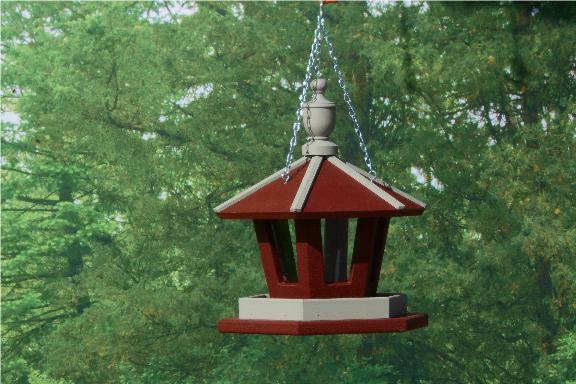 Featuring a gazebo design that's sure to win fans no matter where it's hung, this feeder has six feeding stations and a small lip to make sure that only the right visitors can get in to its delicious contents. Choose from a rainbow of shades to find your perfect color. If you have any questions at all, please don't hesitate to get in touch - we would love to hear from you!